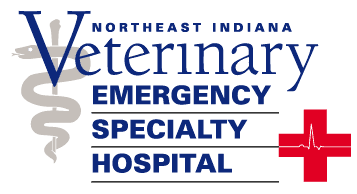 The Northeast Indiana Veterinary Emergency Specialty Hospital is committed to the highest quality 24-hour intensive and specialty care for small animals. Our 24/7 pet emergency hospital and staff are fully dedicated to enhancing the unique relationship between humans and companion animals by providing the best care possible. We serve veterinarians and pet owners of the tri-state region (Indiana, Ohio and Michigan) as an emergency animal hospital and veterinary referral center for competent, compassionate, and timely veterinary care. We've had to bring our cat and dog to this pet emergency hospital at different times for various things. The staff has always been compassionate and helpful. It's nice having a place like this around, especially since out pets tend to have issues in off-hours. As much as I like it here, I hope I don't have to come back, but if I do, I won't hesitate. An echocardiogram (ultrasound of the heart) uses ultrasound waves to create real time images that allow the cardiologist to evaluate the heart size, valve function and heart strength. Almost everyone enjoys chocolate, even our pets. Although some forms of chocolate have been shown to have beneficial effects for people, they can have detrimental effects for our pets. Gastric Dilatation and Volvulus (GDV) is a life-threatening condition affecting dogs. It is a common occurrence in large and giant breed dogs and is frequently referred to as “Bloat”. Nelli is a 1yr female spayed Labrador Retriever. She was evaluated for persistent vomiting and progressive lethargy. Her owners reported that she was vomiting daily for almost a week. They were not aware of any toxins or foreign objects that she may have eaten.